Today it is my pleasure to Welcome author Julia Sonneborn to HJ! Hi Julia and welcome to HJ! 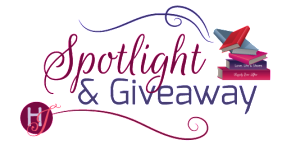 We’re so excited to chat with you about your new release, By the Book! 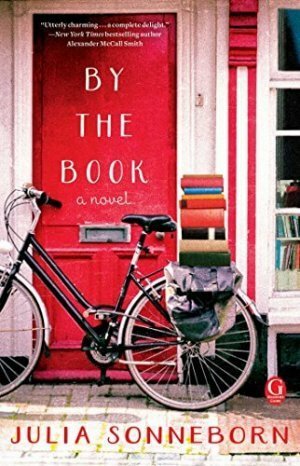 BY THE BOOK is about Anne Corey, an English professor, who discovers that her ex-fiance is now her new boss. It’s a second chance love story—does he still love her? Does she still love him? At the same time, it’s about the compromises women have to make when it comes to their personal and professional lives. “In fifteen minutes,” I said, scrolling through my backlog of student e-mails. the final draft. Maybe one day I’ll issue a NSFW “director’s cut” of the novel! Actually, most of the characters are based on real people. I had a professor who did have Keanu Reeves/Speed posters in his office; I knew a grad student who did propose to his girlfriend by hiding the ring in a copy of Jane Austen in the library; I did have a student whose father threatened to sue me—for giving his son a B+. Anne is a struggling academic who is constantly questioning the personal/romantic sacrifices she’s made in the pursuit of her career. Larry is her best friend and a comic foil to Anne. He loves high culture (Henry James, Oscar Wilde) but he also loves pop culture (bad Hollywood movies), and he doesn’t take himself—or his profession—too seriously. Adam is Anne’s ex-fiance, who ends up becoming her de facto boss when he becomes president of the college where Anne is teaching. Rick is the dashing writer-in-residence who vies for Anne’s affections and also has some past beef with Adam. I think Anne expresses the desire that all of us have to love someone and be loved in return. She wants a real romantic connection with someone, but she also wants to protect herself from rejection or disappointment. There’s a scene at the very end of the novel involving a pair of scissors and a (metaphorical) eggplant…it’s a standoff pitting Anne and Larry against Rick. I don’t want to spoil it for readers but let’s just say it requires some campiness and comic timing. I wrote in my acknowledgements that this book is a love letter to books and to book lovers. I want people to think, “YES—this is why I love books!” when they finish the novel. What are you currently working on? What other releases do you have planned for 2017? Unnnnnh, this is a hard question to answer. I started another novel last summer and then lost steam about 1/3 of the way through. I’ve got some ideas for a new novel but haven’t written anything yet. So yeah…check in with me later? To enter Giveaway: Please complete the Rafflecopter form and Post a comment to this Q: Who do you think should play Anne if the book was made into a film? This is something I’m curious about because I purposely wrote Anne so that her physical appearance is kind of vague. Adam and I met in English class. I was a freshman, a shy, bookish girl from Florida who had never been away from home before and who found the Northeast practically a foreign country. In high school, I’d been editor of the lit magazine, a member of the swim team, and concertmaster of the local community orchestra. At Princeton, I was a nobody. I tried out for the school lit society and was rejected. I was too slow to be on the swim team. And while I successfully auditioned for the college orchestra, the conductor asked if I might be willing to switch from violin to viola since they were a little thin in that section. About the only thing I looked forward to was English class. I’d already read half the books on the syllabus and worshipped the professor, an eminent Victorianist named Dr. Ellen Russell whose first book, a massive study of nineteenth-century women writers, was considered a landmark work of feminist literary criticism. “That’s Dr. Russell,” people whispered when they saw her walking across campus. She was a heavyset woman in her sixties, prone to wearing the same outfit day after day (she was fond of one eggplant-colored suit), her gray hair in a nondescript bob. People said she’d once been married and even had a grown son living somewhere in Texas, but no one knew much else about her personal life. “General Russell,” her graduate students called her. We were covering “The Lady of Shalott” the day Dr. Russell called on a dark-haired guy sitting in the corner. “Adam, could you read the poem for us?” she asked. I’d never paid much attention to Adam before because he rarely spoke in class and kept to himself, arriving just as class started and leaving immediately afterwards. But that day, I could hear Adam’s deep voice clearly, drifting across the room toward me. As Adam read the lines—“And sometimes thro’ the mirror blue / The knights come riding two and two: / She hath no loyal knight and true, / The Lady of Shalott”—he seemed to cast a spell on the class. I looked at him—really looked at him—for the first time. His hair was so dark it was almost black, and it curled over his temples. He had dark eyes, a strong nose that looked like it had once been broken, and the beginnings of a five o’clock shadow. His body was lean and sinewy, his shoulders powerful, his arms tan and muscular. I could see a tattoo on his right arm, peeking out from his T-shirt. He must be a senior, I thought. I felt a tightness in my throat as Adam finished the poem and looked up. I was staring right at him, my mouth agape, and he caught my eye and smiled. I blushed clear to my ears and looked quickly away. “Thank you for that, Adam,” Dr. Russell said and began to lecture on the poem, talking about Arthurian legend and the ballad form and how the poem could be read as an allegory of female desire and blah blah blah. At least that’s what I wrote in my notebook. I hardly heard what she said. I was too busy trying not to look in Adam’s direction. Just as class was finally coming to an end, Dr. Russell announced that she was returning our most recent papers. There was a general murmur of anticipation and trepidation in the classroom—Dr. Russell was a notoriously tough grader. “Your prose hobbles along like a lame show pony,” she’d once written on someone’s paper. As Dr. Russell walked over to me, I felt my hands grow cold. “Come speak to me during office hours,” she said, handing me the paper. I blanched, flipping through the pages to the back, pre paring myself for annihilation. She had written just one sentence in pencil. I felt myself flooded with a mix of joy and gratitude. Hugging the paper to my chest, I turned around to leave and walked straight into Adam, who’d been standing behind me. “Oof,” I said, finding myself up against Adam’s chest. He was tall, much taller than me, six feet, at least. “I’m sorry,” I squeaked, blushing again, hardly daring to look up and catch his eye. “You’re Anne, right?” he asked, smiling at me. “Yes,” I said, wondering how he knew my name. “Today? Four? Sure, I’m free. That sounds great!” I babbled. I watched him walk out of the classroom, his backpack slung across his shoulder. I was stunned. What did he want to have coffee with me for? I wondered. It couldn’t possibly be because he was interested in me. I was the smart girl, the one boys wanted to hang out with because I was a great study partner. That must be it, I told myself. Adam probably just wanted to borrow my notes. I really have no idea. Interested to note who others say. I think Emily Mortimer would be a good choice, or maybe Kelly McDonald, they are both British actresses that I love! “Who do you think should play Anne if the book was made into a film? This is something I’m curious about because I purposely wrote Anne so that her physical appearance is kind of vague.” Anna Kendrick. I would need to know more about Anne to answer the question. I like Julia Stiles and Amanda Seyfied. Julia Roberts if you want an older woman. It is a second chance romance. I think Dakota Fanning might be a good choice. I always have a hard time answering questions like this. Hard to say there are good young and older actress who could play anne. I love Kristen Bell, and can totally see her as an English professor – but since the character was originally from Florida, it might be great to see a Cuban-American actress, like Anabelle Acosta or Odette Annable. I haven’t read the book so I’ll just guess Michelle Dockery. I no longer keep track of all the new actresses so I don’t know. If you want someone a little older, Sandra Bullock would make a good one. I don’t know, lol. I’m honestly awful at trying to cast actors to a book in my mind. I like to make my own image when I read and if it’s a movie then it might click, but I always have my original idea of the character. this is a strange question as that her character description is deliberately vague… I’m not a big tv/movie watcher/follower so I don’t know a lot of names… anne hathaway? just a stab in the dark 🙂 thanks for sharing! Love the sound of this! I think Ashley Judd would be a good choice. She is mature enough to fit the role without being too old. I’m going with Kate Beckinsale. Wow, I really don’t know! !